As of a coincidence, I have read some really good Urban Fantasy Noir recently. And since they are short, and cheap, I thought I would recommend them to you. I ought the first short story in this series yesterday. When I went to bed, I had bought all four of them, and devoured them. This is delightfully gritty short stories, around 25 pages, filled with a down to earth witch, who uses down to earth magic. I enjoyed reading about Hecate Sidclaw and Henry. It was interesting to read about their adventures as they solved cases. I have made no secret that I love LA Gilman’s books. This is a spin off from the P.U.P.I novels, and they are just as delightful. The first two, Promises to Keep and Miles to Go are available now, and the third novella is coming soon. And the first two is discounted at BVC, which makes this the perfect time to read them. When I read the blurb for the first story in this series, I flailed in the “OMG have to read it now” way. I went and pre-ordered it immediately. I am glad I did. I loved it. It more than lived up to my expectations. And the next one is out tomorrow. I think. I hope. And the last one is out soon. If you cannot wait for the third one, the publisher, the eminent Booksmugglers are serialising the last two books. Anyway. Go forth and read, and buy. You will thank me later. Your family might not, since there is a chance that you ignore all the Thanksgiving cooking, and things like that. But ignore them, they are just jealous. This summer is packed full with books that I’m itching to read. Then in July Shaman Rises by C.E Murphy releases. *sob* I’m still struggling with the fact that it is the last Walker Paper novel. And Wen Spencer’s next Elfhome novel releases in July! Perfect for some fun, fastpaced summer read. Oh! Magic Breaks by Ilona Andrews is out July too. This book wraps up this series arc, although there will be more books. And Michelle Sagara’s Cast in Flames are out in July. So many books. So little time. 🙂 What books are you looking forward to read this summer? Close to a year ago, I wrote a blog post about my top 3 female SF/F writers. With the recent hubub about the Waterstone list, I thought it might be a good idea to write a new list. Unlike last year when it was solely unknown authors, it is a mix of wellknown and less well known writers. I pledged the Matchbox Girls Kickstarter solely on C.E. Murphy’s blurb. And I haven’t regretted it since. Since the moment I finished reading Matchbox Girls, Chrysoula Tzavelas have been on my autobuy list. 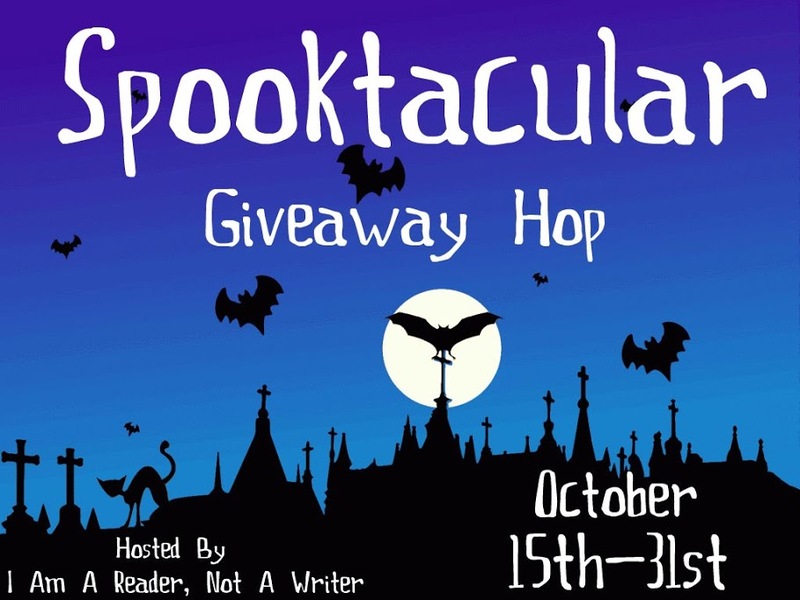 She writes great Urban Fantasy set in an intriguing world. 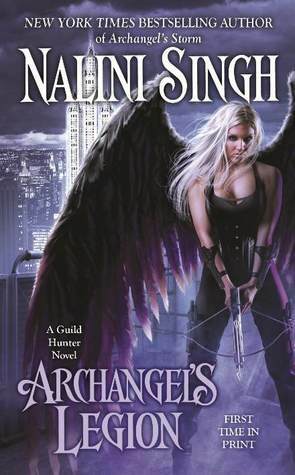 Nalini Singh is a NYT bestseller so she isn’t unknown, but since her novels contains romance, I suspect that a lot of SF/F readers haven’t read her. And they are missing out. Yes, Nalini Singh’s novels contains romance, but they are have amazing worldbuilding, intriguing characters and plots that hooks you. So do give her books a try. Lisa Shearin is one of those authors I didn’t buy until I got an e-reader. Once I bought the first book, though, I was caught. She writes Fantasy and Urban Fantasy novels that are packed with snark, action, great characters and romance. And I wouldn’t want it otherwise. 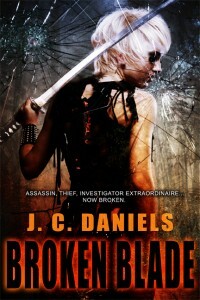 J. C. Daniels ( aka Shiloh Walker) writes Urban Fantasy of the dark and gritty kind. And I love how she pushes her characters until they crack. And then deals with the aftermath. The only thing I *don’t* like is that she only publish one book per year. Cause her books are addictive. I’m very picky when it comes to self published books. In fact, there are only a handful of self published authors that I have put on my autobuy list. While the list fluctuate a bit, Maria E. Schneider is firmly on the list for her Adriel novels. They are well plotted, set in an refreshing setting and have unique characters. Oh and whatever you do, don’t read Under Witch Ghost first. It is slightly spoilery. I could go on for a long time, listing many other fine writers but I think I’ll stop here. But I would love if you added your recommendations in the comments! While her best friend is pulled into the supernatural underworld, Branwyn isn’t about to sit on the sidelines. Unfortunately, Branwyn is decidedly mortal, and in the supernatural underworld, humans are weak and helpless, no better than toys, tools and prey. But she isn’t having any of that. 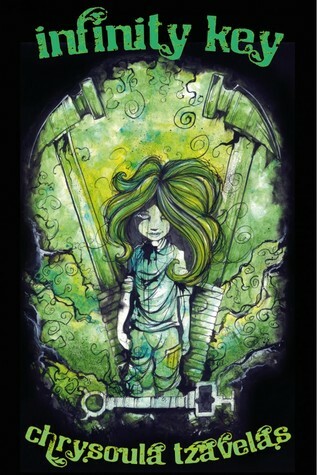 Branwyn wants to face the world on her own terms, mortal or not. If you are worried that you have to read Matchbox Girls first, don’t worry. You don’t have to. To enter, just leave a comment with your name and e-mail! I supported the Kickstarter for Matchbox Girls solely based on C.E Murphy’s blurb. And after reading it, I was glad I did. So when Infinity Key appeared on NetGalley, I requested it on the spot. And after reading it, I can say it was better than Matchbox Girls. I can also say that this is one of those reviews that cannot tell all the reasons why this book is awesome , since doing so would veer into spoiler territory. If Matchbox Girls focused on Nephilim and Angels, this book focused on the Faeries, and their wish to be free from their prison. The Faerie world that Chrysoula Tzavelas have created is just the kind of Faerie world I want to read about: Unpredictable, dangerous and filled to the rim with manipulative beings. It was fascinating to see how the Faeries treated her, and how all of them were willing to strike a deal with her. Luckily, Branwyn were wise enough to avoid deals most of the time. I really liked Branwyn. She was blunt, outspoken and utterly loyal to her friends and family. And determined to save Penny. It was interesting to see how Branwyn changed from being in the Underlight realm, and other Faerie realms. Yet she also remained her. It was fascinating to follow Branwyn, and see how her quest to create the Key went. It wasn’t easy, but it moved forward. It was fascinating to see how Branwyn and Tarn interacted. There wasn’t any romance, but the time she spent in Faerie changed her, and Tarn was affected by her presence in subtle ways. But the book also took place in LA. And it was interesting to see how Branwyn was around her friends and family, how she struggled to keep a secret exactly what she was involved in. Yet, as the quest went on, she had no choice but to tell them, to reveal at least part of what’s going on. And their reaction was telling. They were worried, and they had reason to be worried. Because this book involved a good dose of kaiju as well, and let me tell you: kaiju is creepy. The different plot threads was connected in ways that gradually was revealed, and everything that happened slowly built towards the end. And the twist at the end was a delightful surprise, that made total sense. The only thing I disliked with this book was Branwyn’s tendency to act first and think about the consequences later. On the other hand, that’s part of Branwyn’s personality, and Branwyn is what makes this book so good. When Cade Winslow and Merrick Sullivan find Elle hiding in the cabinet of a gun store, they know they can’t just walk away from the fragile woman with no memory of who she is or who tried to kill her. Merrick is training for the title shot in the heavyweight division as a mixed martial artist and can’t afford distractions, but neither can he turn his back on the woman who tugs at his heartstrings. Elle feels safe with her two protectors, and the longer she spends with them, the more she realizes that she has no desire to remember her past. Not when it could compromise her future with Cade and Merrick. Cade has his own set of concerns when it comes to Elle, and it quickly becomes clear to the two men that for the first time in their friendship, a woman is coming between them. But what if they just kept her there? Between them. Where she belongs. Maya Banks used to be an Autobuy for me, but her historical romances have too many inaccuracies and I don’t like Romantic Suspense. But, I love her Menages and I have had this book on my wishlist since I first heard of them. Charity Sanderson had been Beau Parrish’s lover for months, but she knew it was only a matter of time before their affair ended. She needed a man she could count on to be there, and Beau never took anything seriously. But, she loved him too much to walk away. Beau loved Charity more than his own life, but knew she didn’t believe that. Every time he spoke about a future together, she got skittish, and so he’d had to back off for fear of losing her completely. The vulnerability in her eyes tugged at him, the love shining in them that she didn’t think he could see. He couldn’t go on living a lie. After giving her an ultimatum he walked out, hoping she would love him too much to let it end between them. Her accident changes everything. It forces her to see that the man she never thought he could be has been there the entire time. Despite the issues I have with them, I like Leah Brooke’s Desire novels. Oh, and technically this is already out but since it is exclusive to Bookstrand the first month, I post it for October. In this second Gin & Tonic mystery, the stakes are raised when someone connected to an embezzlement scheme Ginny Mallard and Teddy Tonica are investigating is murdered.When someone from the local animal shelter approaches her about finding grant funds that have gone missing, Ginny Mallard convinces her bartender friend Teddy Tonica to help her investigate once again. They soon discover that something is disturbing the animals at the shelter at night…and then a dead body shows up. 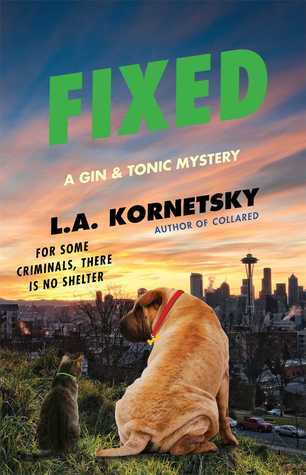 With the help of Ginny’s Shar-Pei puppy and Tonica’s tabby cat, this unconventional crime-solving team has to figure out what’s going on before the shelter—and more people—lose everything..
Collared was one of the better mysteries I read last year, and I am looking forward to read Fixed when it is out :). Maybe I’ll get it signed at WFC too. Beri O’Dell is on a mission. She has to rip back into a hell dimension fast, but needs two things first—the blood of an ancient and a fix for her friend Blythe’s magic, which careened out of control after the battle with the Dweller. Finding ancient blood isn’t easy when the old ones are rare and unwilling to donate. She needs to find Blythe’s former mentor…except the woman has lost her mind and joined a traveling band of singing witches. That’s not the only magical monkey on her back. Nikolos is imprisoned, and after a screwed-up spell lets her witness the horror that has become his life, her fear for him grows by the day. Now there’s another problem—a powerful being unleashed during the battle with the Dweller likes her gluttonous new existence, and will kill anyone who threatens it. 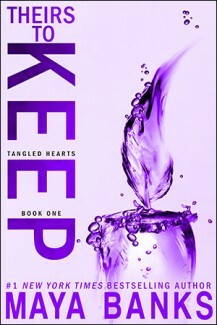 But Beri has a few tricks up her costumed sleeve, even if it means mining the darkness of her soul to set everything right…and get Nikolos back in her arms. I liked the first book in the series, and I think the reason that I didn’t love it was primarily because I was a bit tired of Urban Fantasy. But I’ll definitely buy this one. It is finally here! Whee! Yes, I love Nalini Singh’s novels. Why do you ask? When a bomb goes off at 221B Baker Street, Evelina Cooper is thrown into her Uncle Sherlock’s world of mystery and murder. But just when she thought it was safe to return to the ballroom, old, new, and even dead enemies are clamoring for a place on her dance card. Before Evelina’s even unpacked her gowns for a country house party, an indiscretion puts her in the power of the ruthless Gold King, who recruits her as his spy. He knows her disreputable past and exiles her to the rank alleyways of Whitechapel with orders to unmask his foe. I am not a Sherlock Holmes fan, but this series intrigues me a lot with their mix of mystery and steampunk elements. The first book was just released, but I didn’t feature it in last month’s post, purely because I forgot about it. James Hetley/ James Burton is one of those authors I feel that everyone should read. I picked up his books years ago, and I was hooked from the start. His books should be in every readers library, especially now that Urban Fantasy is so popular. The characters are intriguing, the settings have a unique feeling, and the plots are filled with unexpected twists. I love Kari Sperring’s Fantasy novels.They are set in an fascinating world that is unique, yet are familiar enough that the reader connect to the world. The characters are fascinating, and a refreshing change from the characters in most fantasy novels. They aren’t necessarily fastpaced, but they are paced so that they slowly pulls you in, and when you finish the book you are craving the next one. I am Fantasy lover, and it was through Fantasy I first discovered Lazette Gifford. Her fantasy novels are good, but it isn’t her fantasy novels that I buy in bulk. It is the Science Fiction, since I love all the care and details that she puts into her worlds. From the landscape, to the cultures she creates. The characters is interesting, and the plots are fast paced and well written. Misty Massey is one of those authors that hook you with one book, and then you are waiting impatiently for the next one. I have only read Mad Kestrel once, which was years ago, but I can still remember the intriguing world, the chase across the seas, the unexpected plot twists, and the characters that were fascinating. Three months ago Jan learned that elves were real, our world wasn’t safe and it was up to her to save her boyfriend-and the world-from being englamoured into slavery. Now Jan has a new deadline-ten weeks, ten days and ten hours. That’s when the truce she arranged between our world and the elves’ realm ends, and the invasion starts. While supernatural creatures work to defend humanity, Jan and the kelpie Martin have to find the preter queen, and use her to force the portals closed. But when magic mixes with technology, shutting it down isn’t as simple as closing a door or pulling a plug…. Jan’s geek-girl know-how might have gotten her this far, but they’re going to need technical skills and magic to shut the portals for good…. Heart of Briar wasn’t my favorite Laura Anne Gilman novel, but despite that I squeed and requested Soul of Fire when it appeared on NetGalley. And after reading it I am glad I requested it. The Particulars: Urban Fantasy, Kensington, available as e-book. When Trish Muffet is attacked at a grisly crime scene, the last person she expects to come to her rescue is Nicky “Little Boy” Blue. But since walking away from everything two years before, Nicky’s been doling out vigilante justice as “The Spider,” taking on the vicious predators of the night in hopes it’ll lead him to his ultimate target – Vlad Dracula. And he needs Trish’s help. I have wanted to give Kate Serine a try for awhile, so when Kensington offerered it as a Read Now, I broke my ” Don’t request new to me authors” rule. And I am glad I did. The World that Ms Serine has created was intresting and unique. I liked how the Tales were transported from Make Believe to our world. It was intresting to see how different Tales found their place in US and also how the US reacted to the Tales. What I also liked was that none of the Tales were perfect, that all of them struggled with their past.. 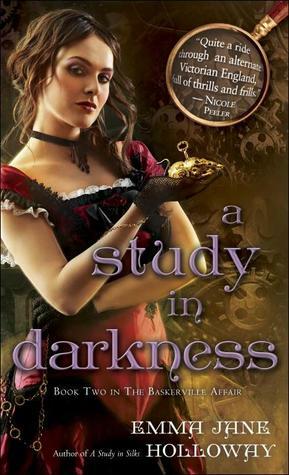 It was intresting to read about Trish and Nicky’s hunt for Dracula. I also liked how they used both Nicky and Trish contacts, to dig out clues. The book moved fast, and the twists that their search took was intriguing and unexpected. I appreciated how the book clearly wrapped up the Dracula story arc, yet it stood alone. It is possible that I would have enjoyed it more if I had read the previous books first, but all the information I needed was woven into the story. The biggest problem I had was that I didn’t really connected to Trish and Nick. I never felt any romantic spark between Nicky and Trish, or that they were in any danger when their lives collapsed around them. But I still plan to check out the first two books in the series since I liked the world.